This post is a clarification of my earlier post on the same topic. I’ll get back to describing advanced-athlete training once I’ve cleared up an obvious matter I overlooked earlier. After part 1 of this series was posted several readers here and on Twitter asked a question I should have addressed: What’s an “advanced” athlete. I’m sure we could get some heated discussions going on this one, but let me just simply say that I see this as someone who is well-experienced in the sport, highly fit for the sport and competitive within their race category. That probably will still leave many readers wanting for an even more tightly defined reply. But I’m not going to keep digging deeper on this as we would soon eliminate everyone except the most recent winners of the Tour, the Ironman and the Boston Marathon. I’d like to emphasize that this definition does not eliminate athletes based on age. One of my athletes is 67 years old and he fits nicely into this definition in my book. Two years ago he won the state time trial championship for his age category. I train him in much the same way as my other and younger advanced athletes. There are, however, variations on what I’ll describe here that are based on age. These are mostly related to rest since older athletes tend to recover more slowly. On the other hand, I coach a 30-something triathlete who is relatively new to the sport, now in his third season, and has many work-related restrictions on his training time. He’s got the potential to become highly fit and competitive but he’s not there yet. I do not train him as an advanced athlete. I hope this helps a bit in trying to explain who I am writing about here. You’ll have to decide for yourself if you are well-experienced, highly fit and competitive in your sport. It is: how might one best regain fitness after a non-season-ending injury with a short time off the bike? I haven't found an answer for less serious pauses in training, like mine--I crashed right around the same time you did, but thankfully suffered only minor injuries (ribs)...I was off the bike for about ten days, lost some fitness, but have been back on for three weeks now, basically repeating my last phase of base as the ribs heal. I hope to race again soon, and obviously some sort of build would seem appropriate...but what sort of plan would I follow? Would I simply build a new plan for the remaining peak of the summer, or can I salvage some sort of early peak (originally planned for this weekend)? Thanks! Peter - I'm sure you would have to return to base 3 after 10 days off. what you do for training after that is really a question i can't answer. there are too many things i don't know. Even when i coach someone and I know a lot about them this is a challenging question. Sorry. Good luck with your season. Could you clarify the intensity issue. As the race approaches, the last 12 weeks, would training for Ironman include intensities above Ironman racing intensities. And, if so what would these be and what kind of durations for these efforts would you recommend? I recently completed the Florida 70.3 after a long winter of training. I felt like I logged some decent volume in preparation. With regard to your recent posts I'm wondering how I should approach the next 11 weeks leading up to my next "A" race - Boulder 70.3. Should I train with less volume, but more intensity than I used for Florida 70.3 given that I've been training since December (with 10 days off after FL)? Do I still need some overdistance rides and runs or is speed the key at this point? Thanks for everything! 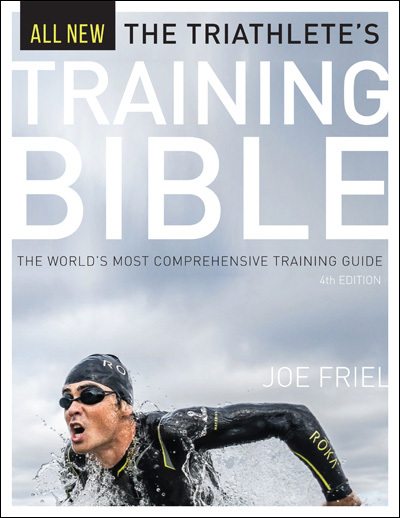 I've bought the Training Bible 10 years ago and still refer to your guidance there. 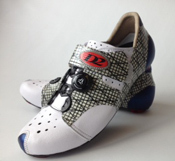 Jgdicker--SWim, yes (if you intend to start fast with lead group). bike and run, no. Chad Nikazy--If your base is good then start race-specific training. If it isn't then go back to work on base 3. I just wanted to say thanks. I won my first A priority race of the season after taking 8 years off from racing. I stayed in shape during that time but this was my best race ever at 51. 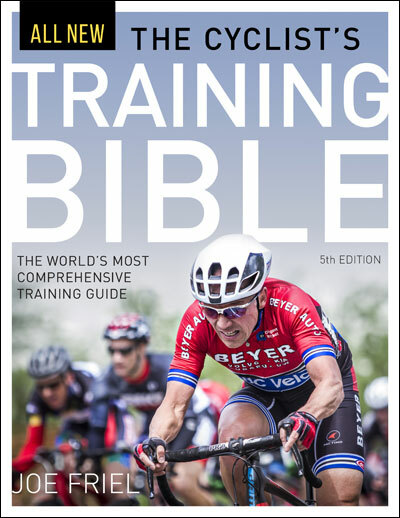 I bought your Mtn Bike Bible in November 2010 and have used it for my self coaching. The fun part aside from winning the over 50 legends group in the Vail,CO race series was my time was 3rd in the Mens Vet Sport class, 2rd in the Masters Sport, and 5th in Mens Sport. I expected to do well but this was better then expected. Next race is in 2 weeks. Fun! I wanted to give credit where credit was due. Your book gave the the guidance over the winter. My training was far from perfect, but I learned when to push and when to rest, as well as how to improve on my weak links. Thanks!!! The only other thing I've done different is I'm trying a product called Asea which is Sodium Cloride. Curious of your thoughts on it. Steve--thanks for your kind remarks, but it was your hard work that did it. Sodium chloride is table salt. If that's the only active ingredient then it's pretty cheap to make your own.